FC Tambov have been a fascinating story in Russia’s Football National League (second division). The FNL, in general, is a fascinating story, relative small budgets for all teams means that there is parity in the competition, which means that half the league either fights for promotion or relegation every given year. This year’s number one promotion candidate is no different. FC Tambov, also known as the Wolves or FeKa Tambov, are on the top of the table with 57 points after 28 games. They are followed by Tom Tomsk — a club that went bankrupt in 2017 and could now return to the Russian Premier Liga as well. Watch European football live. Book your custom European football travel tour by visiting Nickes.com! The example of FC Tambov highlights both the beauty and the weaknesses of Russia’s second division. A vast division that spans the entire country and all of its time zones the FNL, unlike the RPL, is Russia’s true nationwide league. At the same time, many teams in the division have to make do with the bare financial minimum and often play in stadiums that do not meet the requirements of the top class football. FC Tambov – A new stadium? In the case of FC Tambov, for example, the club are currently playing in the 3,000 seat Lokomotiv Stadium while their usual home ground the Spartak Stadium, which has a capacity of 5,000 seats, is currently under reconstruction. According to a report published in Komsomolskaya Pravda that once finished the Spartak Stadium will have a capacity of 10,000, which would be enough to meet the criteria required to play in the RPL. But construction on the stadium, which has not seen any upgrades since the early 2000s begun in 2017 and still has not been finished. Arsen Gabuev, the Deputy Head of Administration of the Tambov oblast, and formally in charge of Tambov’s football project, however, voiced optimism to the paper that the facility could eventually be increased to 15,000 seats. “Our players have an opportunity to get to the next level. Therefore, we have to make some steps to get the stadium ready for when top clubs like Zenit, Spartak, Lokomotiv or CSKA Moscow come to visit, especially as we anticipate fans from neighbouring regions like Lipetsk, Kursk and Voronezh to attend games. In that case, 10,000 seats will not be enough,” Gabuev explained to KP. The big question now, however, is whether the stadium will be ready on time. Hence, there are now rumours that FC Tambov, which are owned by the Tambov oblast, could move 500km south to play the early games of the 2019/20 RPL season at the 2018 FIFA World Cup stadium in Volgograd. It would not be the first time in Russian history that a team would have to relocate to play home games. After all, 2018 Russian Cup winner Tosno had to play their home games in St. Petersburg and just weeks after winning the biggest trophy in the club’s history were dissolved for financial reasons. Meanwhile, Dinamo St. Petersburg were moved to Sochi where they are now playing as FC Sochi in the Fisht Olympic Stadium. In fact, Sochi are currently on track to join Tambov in the top flight. The club from the Caucasus is currently third in the FNL just three points behind Tom Tomsk and has all the options to either go straight up or manage promotion by beating the 15th or 16th placed team of the RPL at the end of the season in a home and away playoff. Tambov playing at the stadium in Volgograd, even just for a few games would be a massive boost for the 2018 FIFA World Cup organisers, who promised that they would be able to fill the stadiums long-term for sporting events after the World Cup. 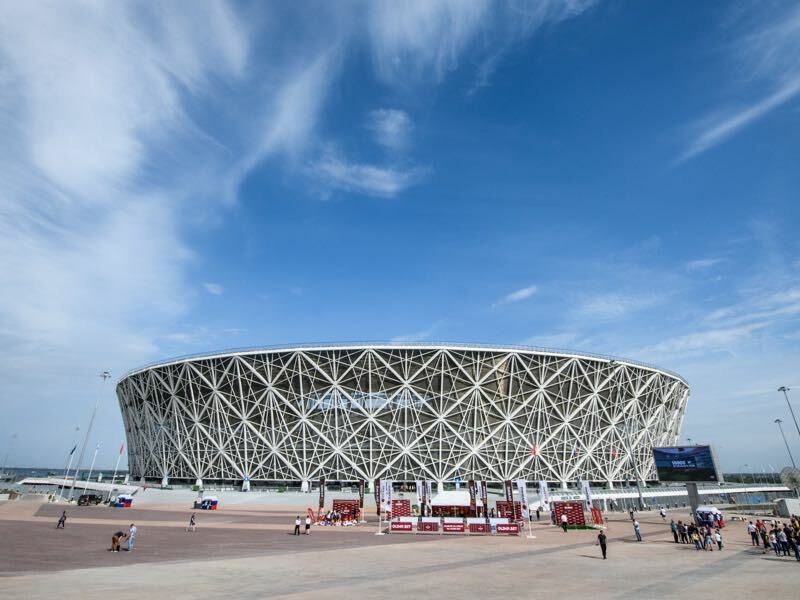 In fact, with Nizhny Novgorod in sixth-place, only one point behind the relegation-promotion playoff spots, there is a possibility that the World Cup stadiums in Sochi, Nizhny Novgorod and Volgograd (thanks to Tambov), in addition to the already existing World Cup stadiums in the RPL (St. Petersburg, Rostov, Yekaterinburg, Samara and Moscow), could all see Premier League action next season. 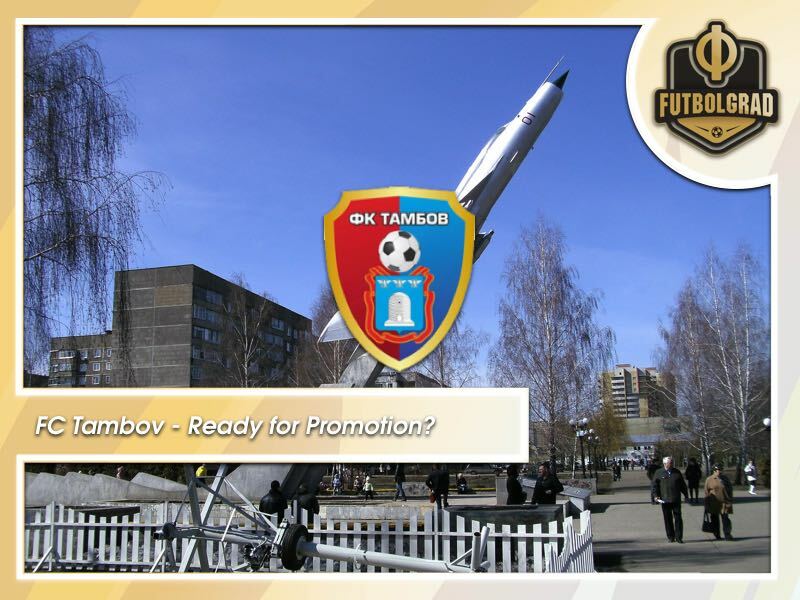 Whether a move to Volgograd, even just for the short-term, would beneficial for the growth of FC Tambov remains to be seen. Overall, the club, which was founded only in 2013, will find itself financially tested as it is next season. Government-owned clubs, in general, have found it difficult to make the step from the second to the first division. Competing with big clubs in the RPL means infinitely more money, which is a factor that is underestimated by regional authorities, as the recent examples of Tom Tomsk and Amkar Perm can attest. Furthermore, a change in government can also lead to budget restraints as the new government might change its priorities. Here is hoping that that will not be the case with this Tambov side that has dominated the FNL this season, it would somewhat defy the odds if Tambov survive in the RPL, after all the name Tambov originates from the Moksha language word tomba meaning “abyss” or “deep pool”.